Lovelyz Pre-Release “Good Night Like Yesterday"
November seems to be the month for girl groups. Companies have been vying to squeeze in one last promotional cycle for established acts and debut new bands all in a push for the title of the next big thing. 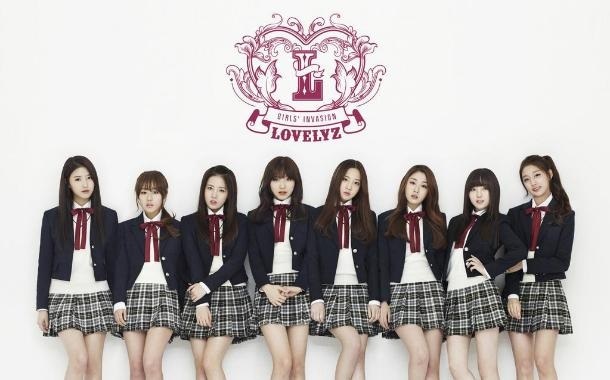 Woollim Entertainment’s latest group, for example, Lovelyz has been getting a lot of attention lately. The girls have been a part of many activities prior to their debut. Members Baby Soul, Jin, Jiae, and Mijoo have participated in everything from solos, to subunits, to acting, to variety. Not all the pre-debut press has been positive, though, with some (yet unconfirmed) rumors regarding Jisoo casting a negative light over the group. However, the group’s pre-release track “Good Night Like Yesterday” serves as a good introduction to the vocal prowess and introduces their dynamic as an eight member group.